Horses and hands, verses and feet. 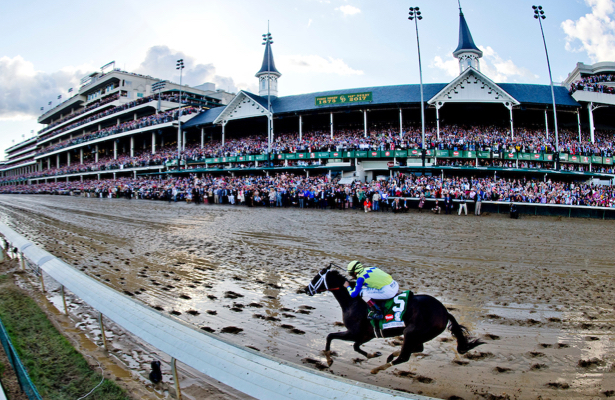 The University of Louisville is issuing a call to the poets to enter the starting gate for the inaugural “Hands and Feet: A Poetry Derby,” set for April 22 at the Kentucky Derby Museum. High school students and adults in Louisville, Ky., and surrounding areas can submit sonnets for the contest during the March 1-15 entry period. Poets can send in up to three poems, but no more than one per writer will be selected. All submissions must be typed, marked “adult” or “high school,’ and include contact information (name, mailing address, telephone number and email address). Entries can be sent by email to kentuckypoetryderby@gmail.com or mail to Poetry Derby, c/o Kristi Maxwell, 315 Bingham Humanities Building, 2216 S. First St., University of Louisville, Louisville KY 40292, with a postmark between March 1 and 15. For more information, contact Maxwell at at Kristi.maxwell@louisville.edu.